A report from the US Chamber of Commerce shows $129-million dollars in South Dakota exports are threatened by retaliatory tariffs from trading partners. In addition to being an agriculture heavy state, South Dakota also has around 1,000 manufacturers. 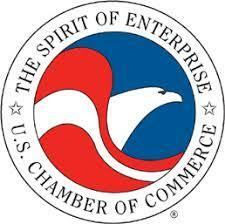 The US chamber of commerce is coming out against the tariffs imposed by the Trump Administration. South Dakota Chamber of Commerce president David Owen says they haven’t taken a position on the tariffs imposed by President Donald Trump. However, he says the chamber has a long track record of supporting free and fair trade. According to the US chamber report, $86 million of South Dakota meat exports, alone, are slated for tariffs by Mexico. Glenn Muller is the executive director of the South Dakota Pork Producers Council. He says the proposed tariffs against pork are very concerning. Muller says there are around 900 pork producers in South Dakota, who produce around 2.5 million head of hogs annually. Muller says 27 percent of the pork product in the United States are exported. He says anything to jeopardize those exports would impact the industry.